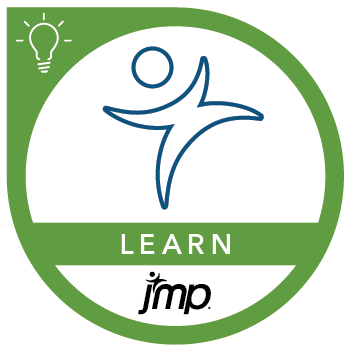 This course is for JMP users who work with data that have many variables. The course demonstrates various ways to examine high-dimensional data in fewer dimensions, as well as patterns that exist in the data. Methods for unsupervised learning are presented in which relationships between the observations, as well as relationships between the variables, are uncovered. The course also demonstrates various ways of performing supervised learning where the relationships among both the output variables and the input variables are considered. In the course, emphasis is on understanding the results of the analysis and presenting conclusions with graphs. fit complex multivariate predictive models with partial least squares (PLS) regression models. Before attending this course, you should complete the JMP® Software: Statistical Decisions Using ANOVA and Regression course.